Pioneer, LA – November 19, 2014— Today Big River Rice and Grain announced that numerous upgrades have been completed across the company’s territory in Louisiana and Arkansas that will significantly increase market opportunities for its growers and customers. Big River Rice and Grain is a grain storage and merchandising subsidiary of Agspring, Leawood, Kan. Agspring announced the formation of Big River Rice and Grain earlier this year through the acquisition of Bayou Grain and Chemical, Raley Brothers and Tubbs Rice Dryers, three established agri-businesses located in Louisiana and Arkansas. Since Big River was formed by Agspring, the company has tackled a number of substantial infrastructure projects across its regional territory to upgrade the efficiency and convenience of facilities to the benefit of growers, customers and allied vendors. 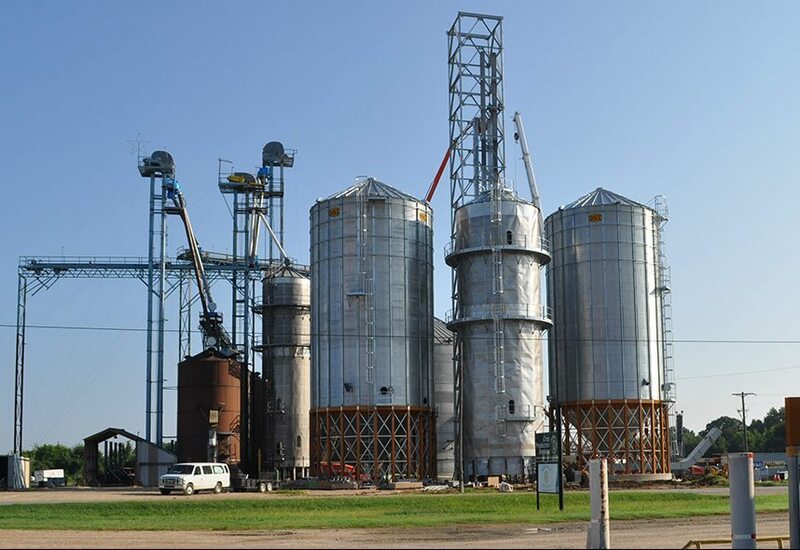 Upgrades at Lake Providence, La., have focused on delivering increased operational speed and grain handling capacity, better enabling the organization to connect Northeast Louisiana and Southeast Arkansas to new and broader market opportunities. Growers are able to dump trucks faster since the firm opened two new farm only lanes that can receive 50,000 bushels per hour (BPH). Also included is the addition of a 10,000 BPH dryer to quickly and efficiently get crop production to market. Lake Providence also now features increased space to continually receive trucks at maximum capacity and smoothly transition between different commodities and varied crop specifications. The Crowville, La., facility received a facelift to improve convenience and safety while enhancing operations. Added speed and space is apparent through a new 5,000 BPH dryer and 2 million bushel ground pod with a 25,000 BPH receiving belt. Crowville now has an improved truck flow, along with the new offices, scales, and entry and exit points. The company also opened a new location near McGhee, Ark. The Yellow Bend barge facility is part of an investment strategy to improve efficiency and flexibility for regional growers and national supply chain partners. Improvements at Yellow Bend include a new scale and office, as well as the latest safety and operational systems. “Increasing the scale and efficiency of our infrastructure provides us a competitive advantage and the ability to maximize the agricultural and economic potential of our region,” said Big River Rice and Grain COO John Goetting. Big River Rice and Grain is headquartered in Pioneer, Louisiana, centrally located among facilities in Pioneer, Delhi, Mer Rouge, Monticello, Lake Providence, Crowville, Louisiana as well as Parkdale, Eudora and Yellow Bend, Arkansas. Agspring combines entrepreneurial teams, essential agriculture supply chains, and superior capital partners for global success feeding our changing world. Deep equity and credit relationships provide Agspring a solid platform for capital improvement and expansion. Agspring maintains decentralized operations and puts leadership teams in place who desire to grow into new markets including grains and oilseeds; livestock feed ingredients; and consumer food ingredients. Agspring and Big River Rice and Grain are trademarks of Agspring, LLC. The names of actual companies and products mentioned herein may be the trademarks of their respective owners.